BRISTOL - Indian Rock Nature Preserve offers a taste of an authentic old-fashioned Thanksgiving at its annual Colonial Dinner. 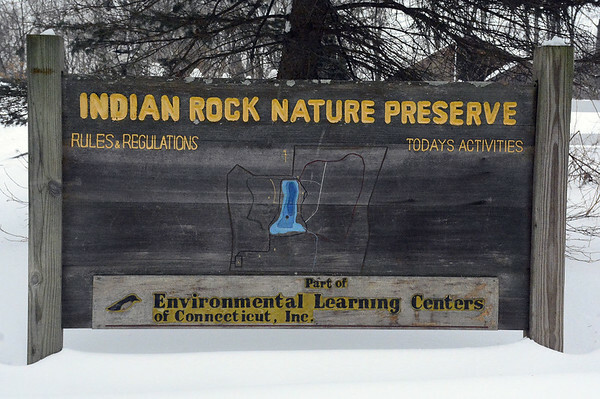 “It’s like a Sturbridge Village experience,” said Jeannine Audette, member of the board of trustees for the Environmental Learning Centers of Connecticut Inc., Indian Rock’s parent organization. Tickets are on sale now for the dinner on Saturday, Nov. 3, from 4 to 9 p.m., at the nature preserve, 501 Wolcott Road. They are $100 per person. The proceeds help fund Indian Rock’s educational programs. The dinner has been happening for at least 12 years, but off and on, Audette said. South Side Market caters the dinner, and the main building is renamed Morgan’s Tavern the night of the event “to give it a colonial feel,” she said. The event includes a turkey cooking on an open hearth; colonial dishes; authentic refreshments like mead, beer, and wine; a presentation of plants found on the property and their medicinal uses; and an assortment of colonial demonstrations and reenactments, including storytelling, tomahawk throwing, games, music and more. Colonial attire is optional. “Our board and our volunteers are very fastidiously about making sure that things are authentic as can be. No paper tablecloths or Solo cups,” she said. For event information, call 860-583-1234 or visit www.elcct.org . To buy tickets, visit http://elcct.org/event/annual-colonial-dinner-program/. Posted in The Bristol Press, Arts, Bristol on Friday, 14 September 2018 20:22. Updated: Friday, 14 September 2018 20:24.